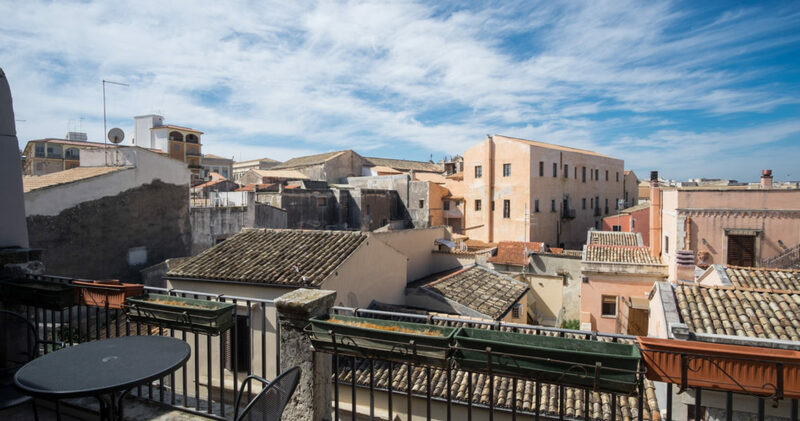 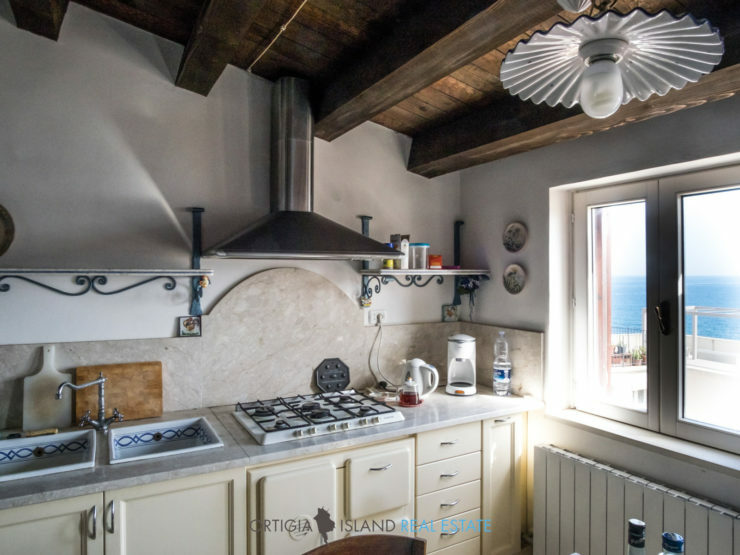 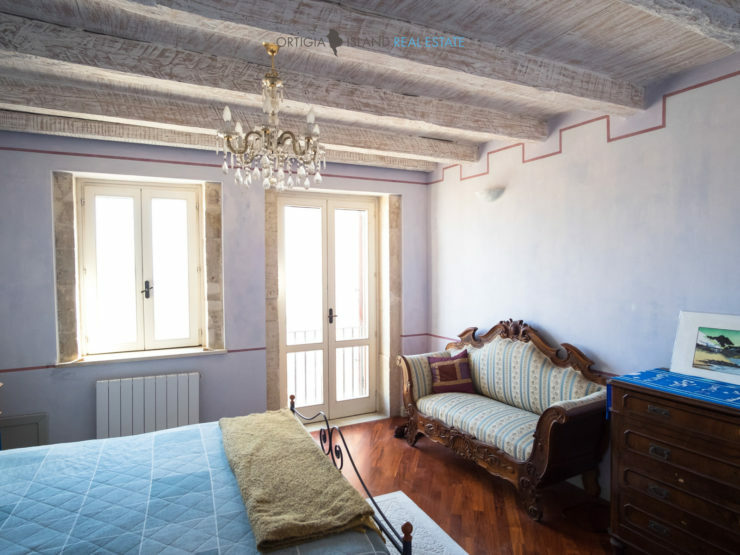 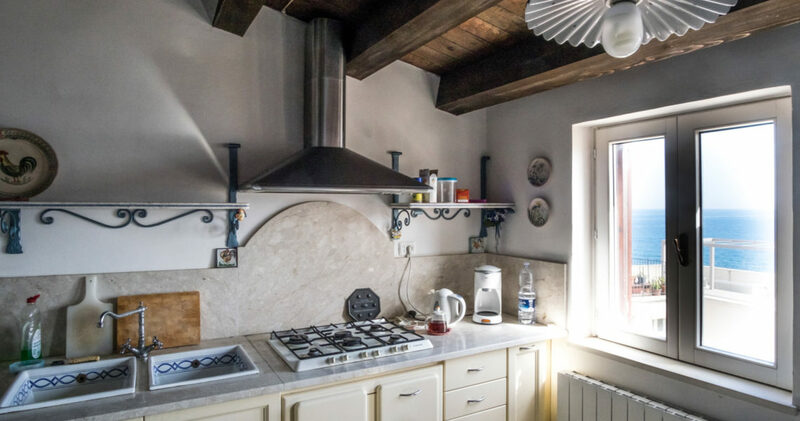 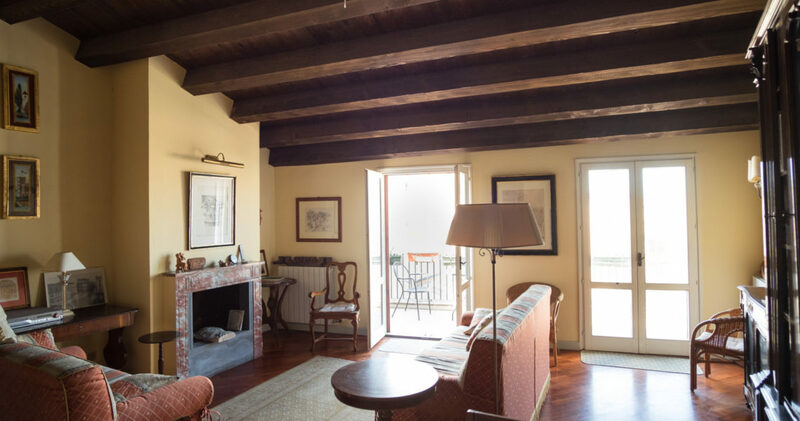 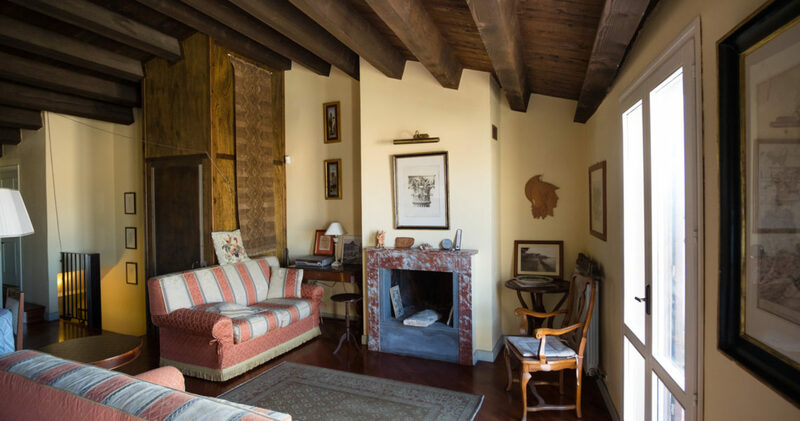 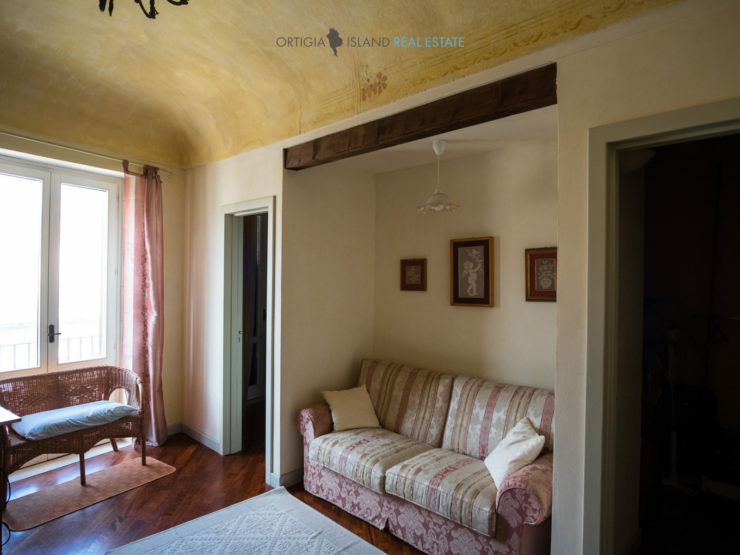 The house, with view, is a stately nineteenth-century restored residence, located in Ortigia. 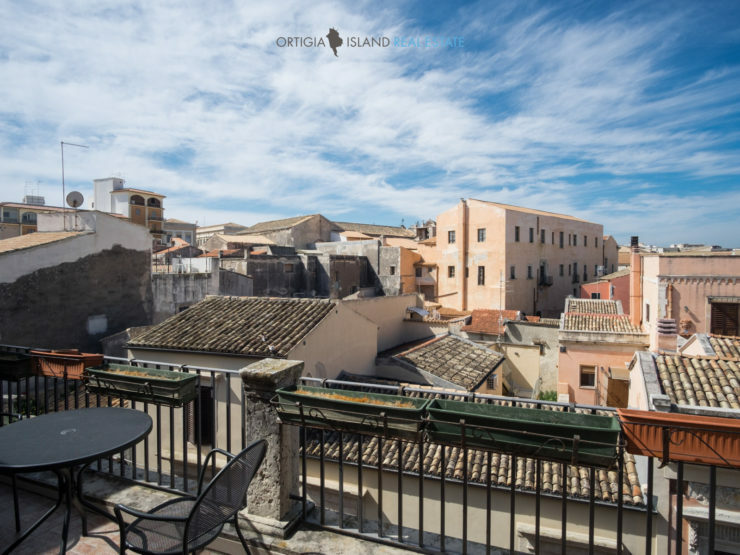 The property for sale is a sky land on three levels with lift, terrace and sea view. 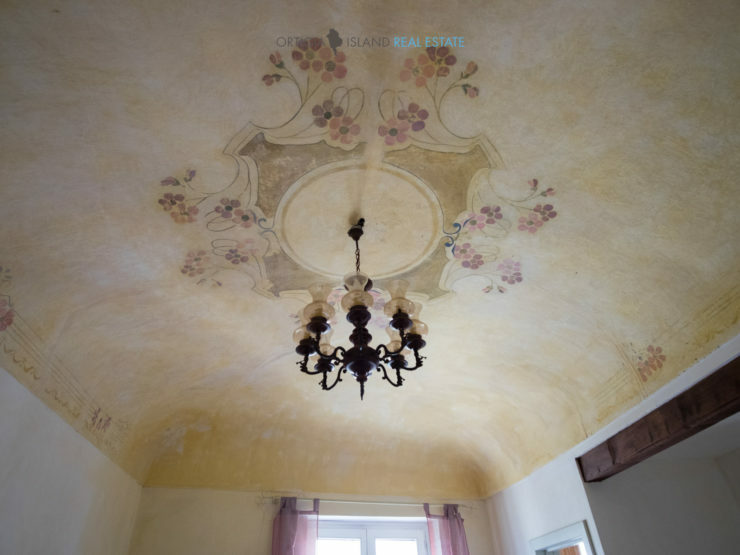 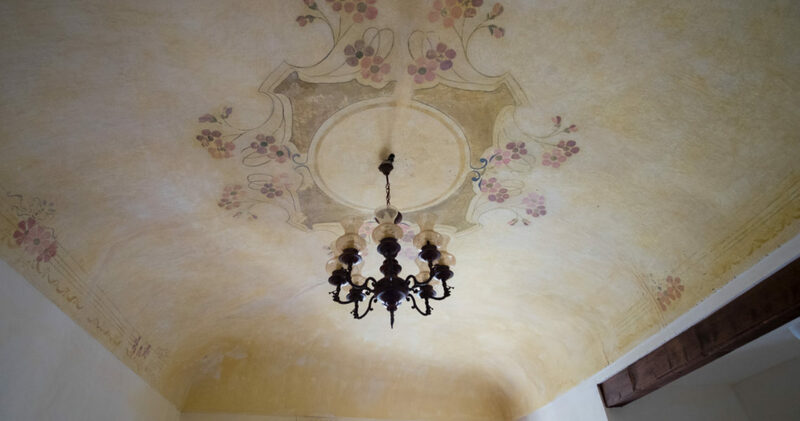 The recent restoration has kept the ornate late nineteenth century, with paintings and decorations. 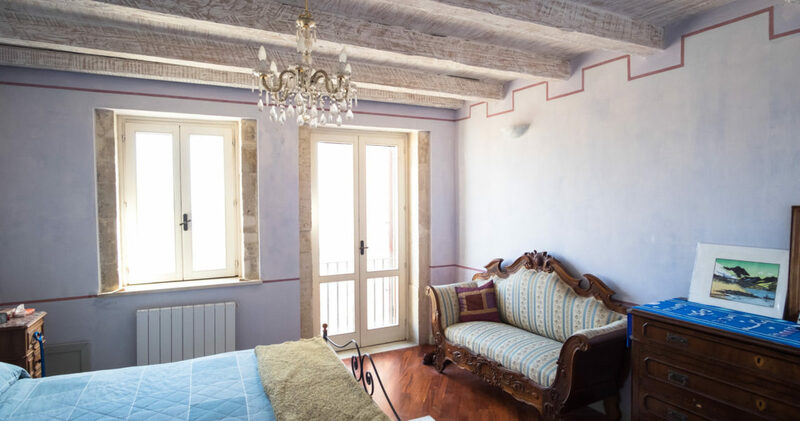 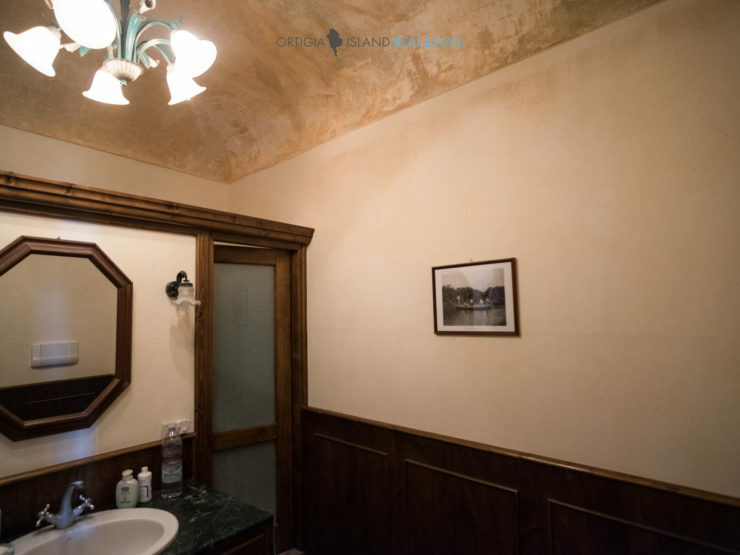 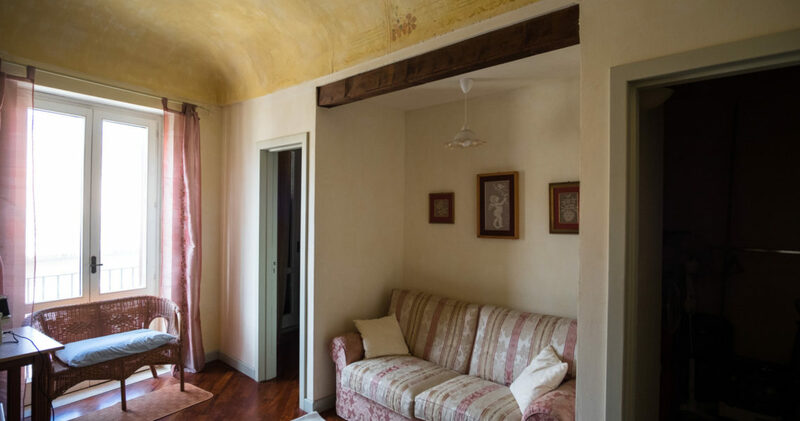 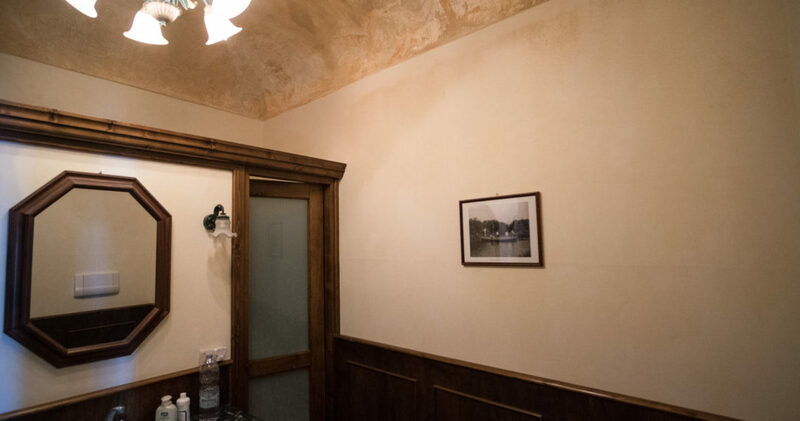 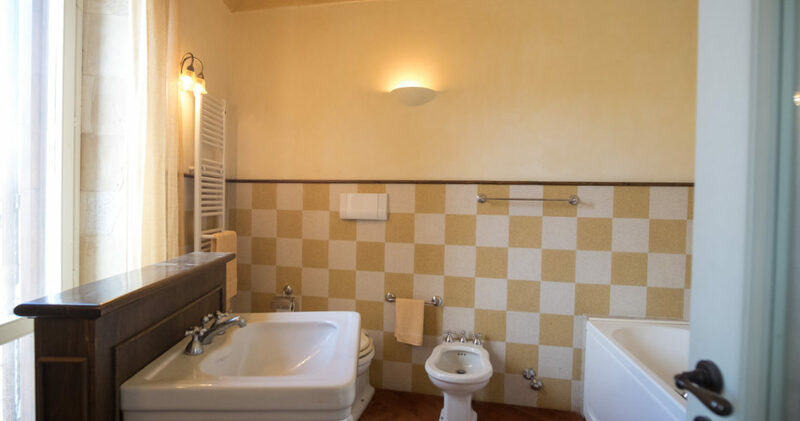 The ground floor consists of two large rooms with bathrooms, an outbuilding with separate entrance from the courtyard consists of two rooms and bathroom. 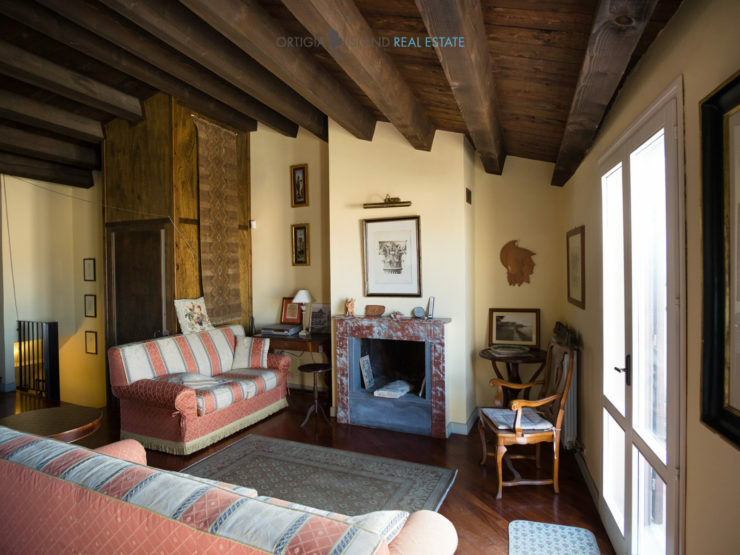 The first level consists of a large living room with fireplace, bedroom, study and service. 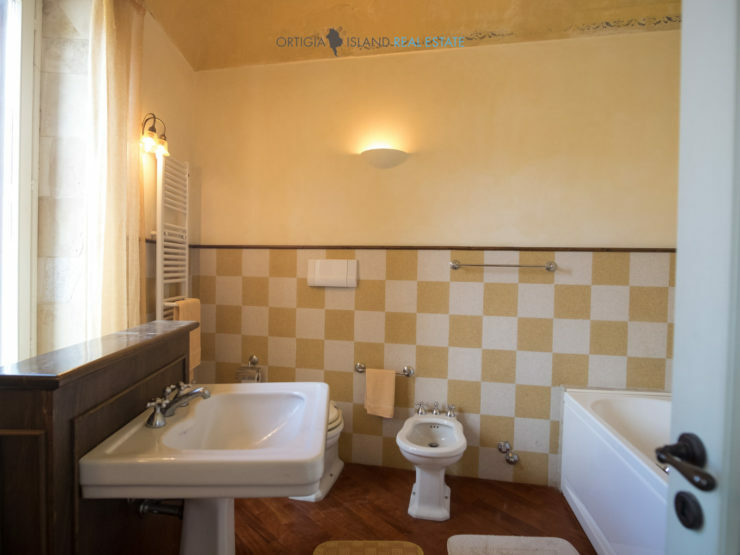 The second level consists of two double bedrooms and two bathrooms. 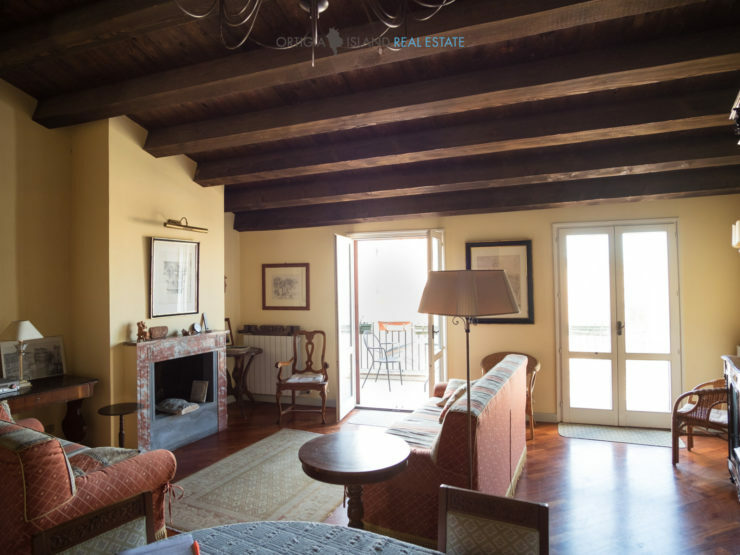 At the third level, the large living area with kitchen and terrace.